Home Newsroom Stories Local Disaster Management Committees learn about weather, climate and more! Local Disaster Management Committees learn about weather, climate and more! 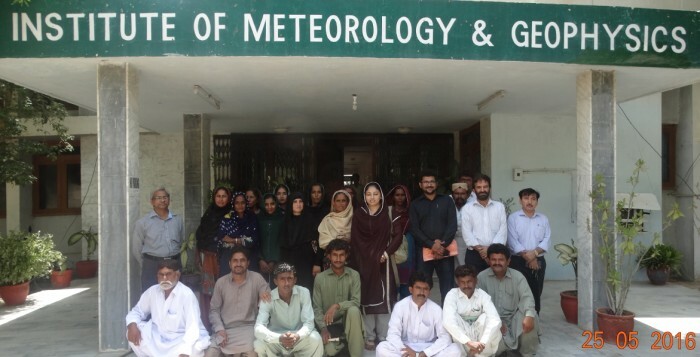 Twenty members of sixteen Village Disaster Management Committees (VDMCs) established by Community World Service Asia in rural Sindh visited the Pakistan Meteorological Department in Karachi this May. The members of this hazard-prone community, which is regularly and severely affected by seasonal flooding, were able to observe the ways in which the government department processes and responds to information on weather, climate and geophysical phenomena with the aim of ensuring safety in the air, land and sea. They also observed how these measures mitigate the impact of climate change on agriculture, the main source of employment and income in the province of Sindh. 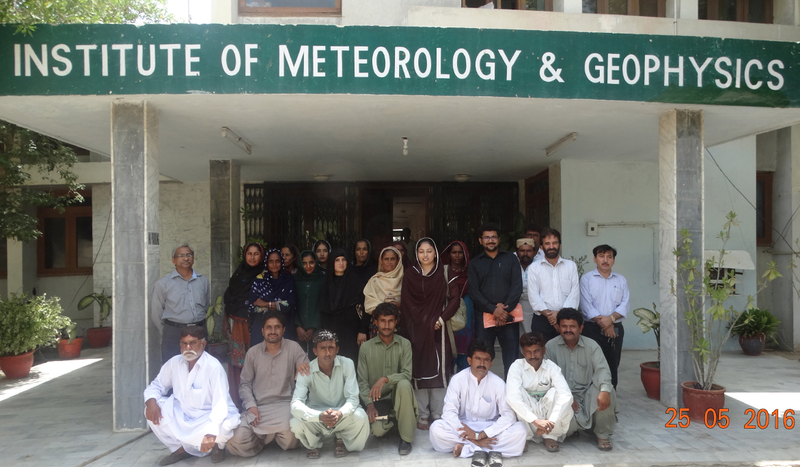 Chief Meteorologist, Abdul Rasheed, and his colleague, Sarfaraz, introduced the visitors to the effects of climate change, weather forecasting and early warning systems for heavy rains, heatwaves and flooding. With support from Christian Aid, Community World Service Asia is working to empower local communities to take action so that they can protect themselves from the impact of natural disasters. Activities such as this visit enable community members to learn about the causes of natural disasters and the mechanisms which are in place to anticipate them. Such activities build links between government departments and local organizations which contribute to effective coordination for preparedness.